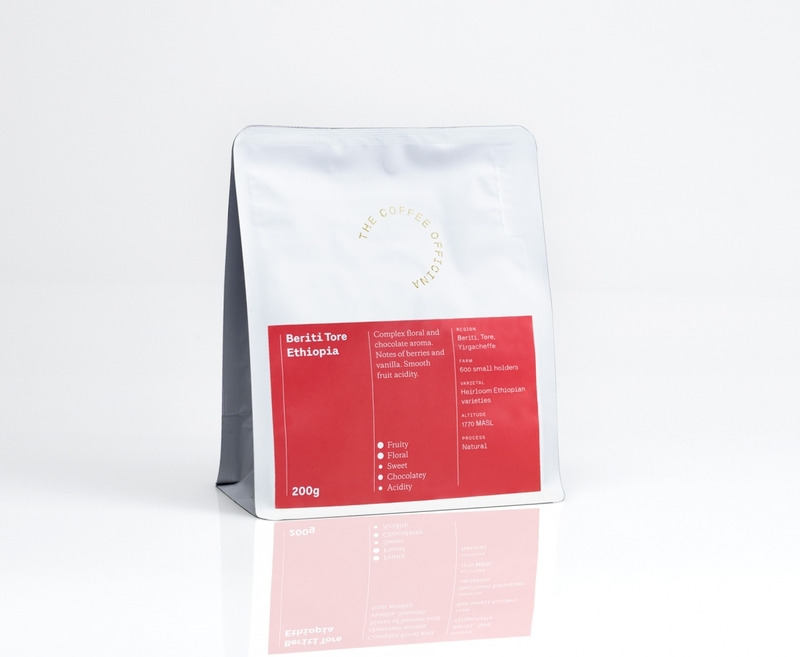 This coffee comes from Beriti’s washing-station, which is in the village of Tore, in the Yirgacheffe region of Ethiopia. There are about 600 producers in the region who are served by Beriti’s washing station, which was founded in the year 2000. Both natural and washed lots are delivered by producers in cherry form, and are then sorted and prepared for processing. Natural coffees are dried on raised beds, which takes between 8–20 days to dry depending on the sun access and temperature. Until relatively recently, coffee grown by smallholders and co-ops in Ethiopia were required to be sold through the ECX (Ethiopian Commodity Exchange), where lots were classified by general region, quality (Grade 1–5), and escaped of most of their traceability. In March of 2017, the prime minister of Ethiopia approved a reform allowing co-operatively owned washing stations to export their coffee directly, which allows for separation of top coffee lots, higher prices for farmers, and increased recognition for the best quality coffees in Ethiopia. We chose this particular grade 1 natural lot from Beriti because of its unique complexity, which surprises us in every cup.